New tech can be an expensive luxury, but it can also cut costs. To help you navigate your way through the best money savers, we've compiled a list of our favourites: in the order we think you'll need them. First there was pen and paper. Then came complex spreadsheets. Next up was expensive accounting software. But by far and away the best advance to hit personal finance is free money management software. 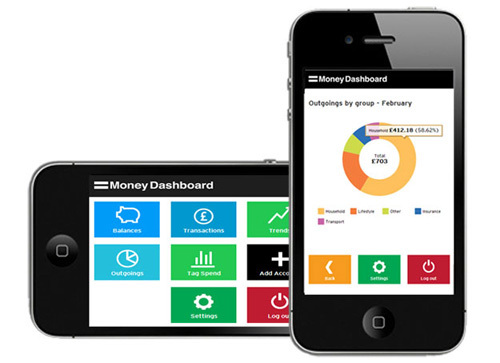 With Money Dashboard you can automatically collect the data from all of your accounts in one secure, easy-to-use space. Starting with a clear view is essential if you want to objectively assess the value you're getting from your tech. Otherwise you risk splashing out on an expensive fad. Speaking of avoiding splashing out, there's a rising demand for apps aimed at battling impulse purchases. At a time when shopping apps have never been smarter, and gamification is working hard to make spending more fun than it has any right to be, these apps will be a godsend. You could check Money Dashboard on the go, of course, but another way to avoid spending is use an app like Urge, which encourages you to fight your impulses, and calculates how much you save by doing so. Merry Miser is a similar app being developed in the UK, but while you wait, try using Pinterest to make your own wish list/savings calculator. Smart meters are becoming an incredibly valuable way to monitor and control your energy consumption. Like a Money Dashboard for electricity, a basic smart meter will let you monitor how much energy you use, and judge the effectiveness of the gadgets and tactics you deploy to cut your consumption. They also give you accurate readings, which can help you find the right energy supplier. You can get even more smart with heating control systems from suppliers like tado and Samsung. Or electrical device control from Belkin. These gadgets let you control your heating and electricals remotely, via wi-fi enabled devices. They can even monitor your habits, and switch appliances on or off based on time of day, temperature or light level. There's a reason WhatsApp and Skype sold for big money: they are slowly replacing conventional telecoms. With a generous data plan or basic wi-fi connection, online messaging and phone services massively reduce the cost of communication. Particularly if you're overseas, and subject to crippling roaming charges from your mobile operator. After you've saved plenty of money by using these technologies, you'll need to invest it wisely. But getting financial advice can be costly. Thankfully, there's been a huge boom in online services that tap into expertise around the globe and let you choose a more lucrative investment tool without relying on expensive advisors. eToro is a great example. It's a 'social investment network', meaning you can follow, and even copy, any number of professional traders who are signed up to share tips and track their progress. Peer-to-peer lenders are another great example. Funding Circle, in particular, gives you control over which businesses you can lend to: so you get to be an angel investor, without the exorbitant capital requirements. Try our tips for yourself and let us know how you get on in the comments below.